The blood fountain from Laana Maji. 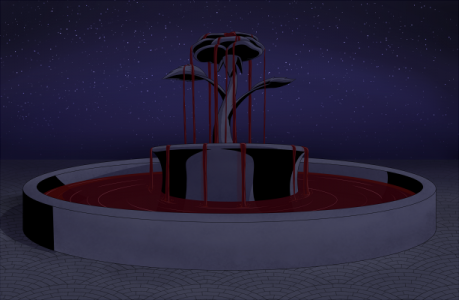 In downtown Laana, near the heart of the square, is a curious rose-shaped fountain filled with blood. At least, they think it's blood. No one has ever thought to ask, or check.